"Yesterday is history, tomorrow is a mystery, but today is a gift. That is why it is called the present. " - Even Master Oogway said this too. I built this for a friend who has known my family and I for many, many years and I want to thank her for all the support and help she has given us. I know who you are so thank you. To briefly explain, this was a clean, free of charge computer. Her husband purchased the monitor since he wanted to give her a very nice monitor. She deserves a speedy new computer and it was time to upgrade her office computer. The build alone costed $534.30 total. The purpose for her computer is to work on Turbo Tax, Quicken, Microsoft Office and manage her photos. Her husband, oldtimer321, is her personal I.T. which he transferred all the software she needed. Also if you’re interested of how I built this particular computer, please check out my video. It’s my first time uploading a build video. I need to do better close-ups next time. I also didn’t have a microphone at the time when I attempted this building process. Though since I get so nervous when I try to talk, I added in my voice afterwards. I’m not so swell at yacking nor an exciting vocal cord. I’m more of a tutorial sort of gal. YouTube Video: Building a G4560 + GTX 1050 Computer (Step by Step). What an exciting experience to work on this processor. The very first hyper threaded Pentium has finally been invented. Oh how I have dreamt for this day to become a reality, and I’m certain others had as well. It’s a friendly tight budget Pentium that is very close in performance of Skylake’s i3-6100. I beg anyone who is interested of this processor to try to find a $65 or below price range. I can assure that this processor is a champ for gaming in a tight budget. I have tested enough Haswell i3 processors in the past and I saw it perform very well, even for demanding games. I know this particular build is not going to be gaming; however, I was able to test at least Resident Evil 7 and Tom Clancy’s Ghost Recon Wildlands. You can check them out on my Youtube channel to see how they performed (Playlist: Intel Pentium G4560 + GTX 1050). Regardless, I think this Pentium will do great for its intended purpose. More information on ark intel: G4560. I still enjoy the installation process and seeing the results of the M9i cooler because it does an excellent job for cooling processors at such a low cost. Yes, this CPU cooler does come with thermal compound called CRYO-PASTE so you don’t need to buy another. 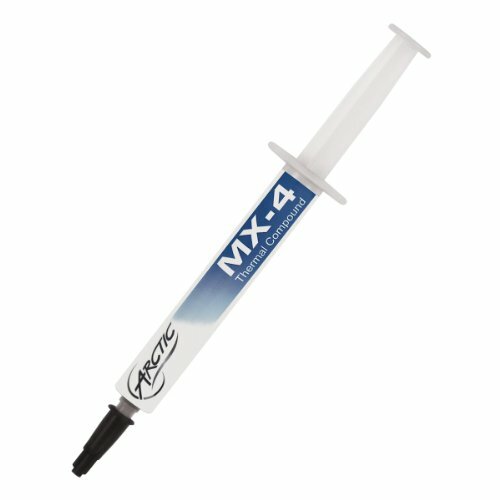 I did use my Arctic MX-4 due to it’s been used and therefor explains my reason to continue to use it until there is no more left. If this question comes to mind, “Why in the world would you spend this much on such a motherboard for such simple uses?” I would respond back, “Why not?” The other previous motherboard would have been around $50 and if I needed my Skylake Celeron processor to flash the BIOS on the ASUS B150 MOBO and call it good enough. I think such an issue of updating the BIOS is less likely to occur these days since most of the Skylake MOBOs have a BIOS to support Intel’s 7th generation processors. I felt more compelled to purchase something better for her and it offers better upgradability with more features. This motherboard has two M.2 slots, M Type sizes for 2242 between 2280. Plentiful SATA ports which offers enough future additional storage when need to. Oldtimer321 prefers ASUS products and it would be nice to give his wife a very nice motherboard. I actually like this BIOS, it has everything you would need to get started at the beginning. I had no problems adjusting the RPM CPU fan and case fans. You can also switch the 3-pin case fans to “Slient” and it will quiet down those 1,000 RPM max versions to about 650-690 RPM. This is one thing I do love about ASUS and GIGABTYE motherboards as they are able to adjust the RPM with 3-pin case fans. Not exactly adjustable as a 4-pin case fan, but it helps reduced their speed further if need be. Of course there is Advanced Mode which helps with more specific adjustments. For now, the reason I went to Advanced Mode was to turn off the orange LED on the MOBO (which I did later on). I was surprised that this MOBO did have two options for light effects, “Breathing” which is set this way by default and “Static” which means the LED stays solid (no effects, only remains ON). I would recommend this Motherboard highly for those who may want to RAID and are not interested of major overclocking with their processor and memory. Unless you have a case that can fit an ATX motherboard with a lot of features for the enthusiasts, than find one of those. The only minor issue I had with the motherboard was installing the I/O shield with the MOBO as it is not quite aligned. Even with and without the extension cable, the motherboard and stand offs weren’t aligning completely. Regardless, I will not fault the motherboard on this, but it’s something to be aware of. Personally it feels more like the case has issues internally because some of the layout wasn’t straight to begin with. NOTES: If using this motherboard paired with the Thermaltake Versa H15 MircoATX case, you cannot properly install an internal optical drive. I know most people don’t need it, but for those who had considered this option, look elsewhere for a different case. I purchased these from Amazon’s warehouse deal. I try to find good prices for RAM since we all know how expensive it is these days. 8GB of RAM will be plenty for her current uses and has the option to add more if need be down the road. No major issues. From X.M.P. set the profile as “Profile 1” to overclock the RAM with ease. A personal request of Oldtimer321 was to have this amount from an M.2. SSD. I know Office, Quicken, and Turbo Tax doesn’t need much space requirement; however, she will save and manage her family photos into this computer. It has plentiful of storage though when I purchased this new SSD, the downloadable software from their website wasn’t available at the time. This was the only minor bother which I like to know if TRIM capability, adjusting performance, and to keep its health in check is possible. Yes, today the downloadable software is available: BLUE WD SSD. Otherwise I saw no major temp issues (30~50 ° C) and performs great with 3 second boots and loads everything in about 7~10 seconds on Windows 10. You might be wondering how in the world did I get this video card for such a low price? Staples’ coupons combined with rebates. I only had until the last day of February 28th to use my coupons and rebate. It may not be a requirement for such simple tasks, but what the heck why not? Yes, I could have let the integrated graphics do its job; however, since she is working on photos than a dedicated graphics card can help the processor. It may not be a dramatic difference, but it keeps the CPU from being the primary display video output. I don’t regret the decision to give her a dedicated GPU, but it's not a requirement either for others who do wonder. No gaming intention as mentioned earlier. I did benchmark on what I could out of curiosity. For a 2017 gamer perspective which was a mix of Low and Medium graphics at 1920x1080 resolution. It can easily play High/Ultra @ 720p with old and most new games. I enjoyed working on Thermaltake’s Core V31 Mid Tower in the past so this case became the next one in mind for a MicroATX case. It’s also cute to have almost matching cases, just like a couple. I liked the concept of this case, but it has some major flaws. Yes, it’s a good case; however it could have been improved with its layout and its size like the length which is very tight for larger components. 1. The motherboard stands for a full size MicroATX is slightly off, mostly had issues at the top and bottom sections, even when I didn’t have the extension cable used I had this problem ahead of time. I’m not sure if the case I bought new had some imperfections, but I can see some obvious ones. 2. The PCI slots does not properly align with any graphics card. I know this sounds odd, but I had to force the back of the case to lean towards the GPU to keep it in place. I never had to do this ever before until this case was in my possession. I am guessing this particular case has this issue, but who knows as others will vary or if they even had this problem. 3. The hard drive cage that is at the bottom of the case was shifted awkwardly which basically the side of the cage was slanted. Using my two hands and some gentle yet forceful pressure, I was able to re-shift the entire hard drive cage to make it straight again. I wanted to make sure these 2x 3.5” slots were available with no problems in the future. 4. I could not install an internal optical drive. Since I purchased a full size MicroATX MOBO, this caused the 24-pin connector to be in the way and forcing the optical drive to stick out of the case which is a huge no-no to have. This particular length of case is not long enough thus lacks the additional two inches of space that is needed for an optical drive. Unless one purchases a narrow MicroATX motherboard, the chances of fitting is less likely to happen. This may not be a major issue for those who only use USBs these days, but for those who were looking for a small MicroATX Mid-Tower case to pair with an internal optical drive does mean this: LOOK ELSEWHERE!!! Find a different case if this is your intention to have too. Of course, if I hear any major problems about this case from her, I’d be more than happy to relocate the components to a new case. I haven’t heard any concerns so far. The positives about the case is the appearance is lovely. Can install a Fan controller if preferable. Has a front foam filter and a mesh PSU filter. Could install a 120mm or 240mm liquid cooler. 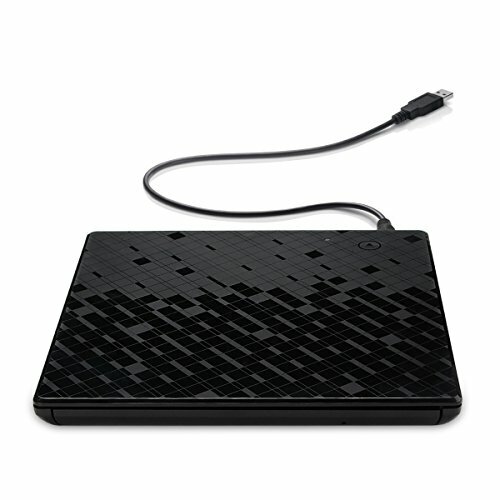 Storage may be slim, but you can find some 5.25” storage convertors easily, or add in a media card reader. 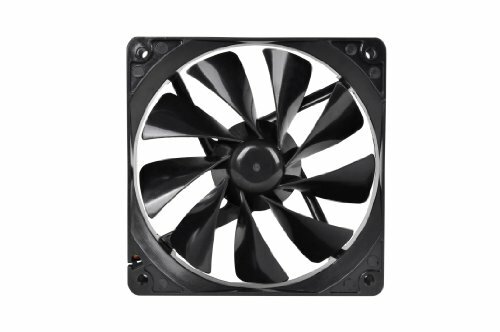 The max amount of case fans is five, but would suggest low RPM fans if you’re going to purchase this case. Did I already mention it looks cool? (@ 2016) I pounced three of these power supplies from Amazon when they were back-ordered. I thought the price was great for new No Modulars. I assure that it’s a quality PSU and has plentiful amount of wattage. The majority of the wires are flat which makes it easier to cable manage. Keep in mind the 24-pin is the bulky wire, but it was not too difficult to manage. I did my best to avoid using a ton of zip-ties for the PSU. I swear, I only used one zip-tie for the 8-pin (4+4) ATX cable and one velcro strap to bind the 2x 3 SATA cables and Molex cable. 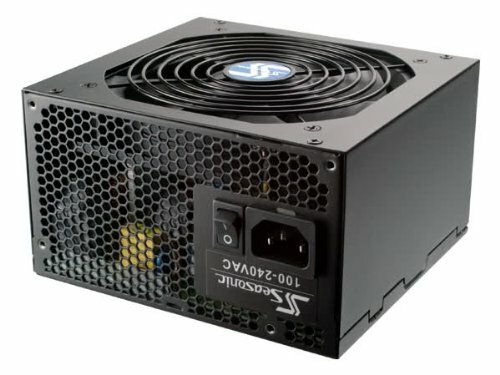 Personally, I think this is the best No Modular PSU you can buy with a lot of flat cables. Of course there are other good PSUs too for the tight budget builder. I have not seen the wattage exceed pass 120w. Usually in the 45~60w range for the everyday tasks. When I gamed Tom Clancy’s Wildlands, I only saw it around 90~100w. I forgot to pay attention with RE7 so no clue there, but my guess is it would roughly similar as Wildlands wattage estimates. I added this extra case fan to have an intake (pulls air in). The case already came with an exhaust fan (pushes air out). 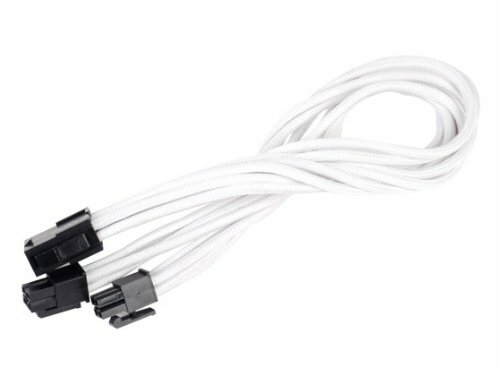 This is the 3-pin case fan, while there’s a molex version too, but trying to keep it easy for installations and less wires to be used. 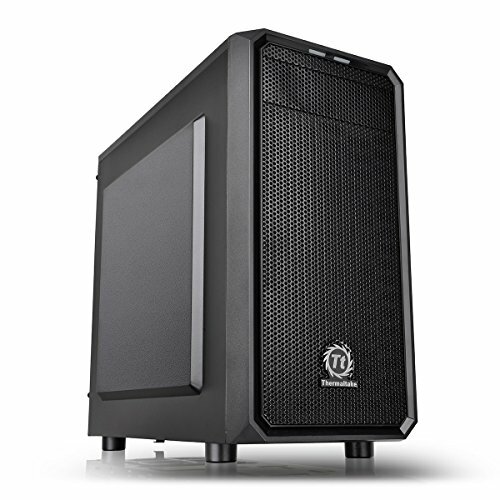 If concern about dust, this Thermaltake Versa H15 has a slim foam underneath the front mesh. Oldtimer321 wanted to give his wife a nice monitor. He had the budget for $200 and after much searching online, we came to this conclusion. Its features are very similar to a gaming monitor, but it does not have “Freesync” nor “G-Sync”. It can be used as one of course; however, this was not the reason why it was purchased. It has Eyecare which reduces Blue LED and can help reduce eyestrain. It can swivel and tilt like you would see from a gaming monitor. I originally purchased this on Newegg since Amazon didn’t have any in stock. Though one thing I noticed a lot was the reviews from Newegg complained about the display port flickering or it blacks out because the connection is loose. I’m not sure what the real culprit was for the reviews, but I have backup cables if such a dilemma occurs. Thankfully I had seen zero issues with this monitor’s DisplayPort and it worked great. Lastly, it’s able to spin 180 degrees on the stand too, not just the monitor. Currently it’s connected to the GTX 1050’s DisplayPort and easily displays 1440p. Yes, the integrated graphics can do this too. 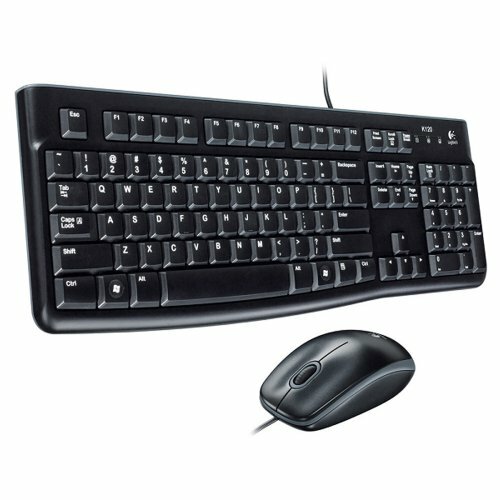 I purchased this combo for such a reasonable price and it already comes together as a keyboard and mouse. It should be a nice fresh start for now until she needs something better down the road. For office, turbo tax, quickens and managing photos this should be OK. The mouse also supports right handed and left handed users. You can buy these in a large bulk from Newegg to save more pennies or a dollar. I was supposed to use one of my spare internal optical drives, but it didn’t work out. 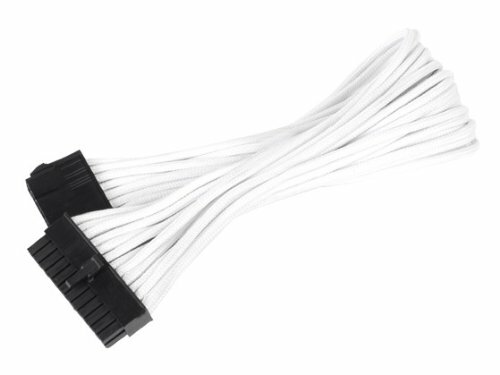 Due to the motherboard’s layout of the Asus PRIME H270M-PLUS, the 24-pin connector combined with the small Thermaltake Versa H15 MicroATX case’s optical bay was unable to completely install an optical drive. I made sure to find a solution for this quandary. Obviously the external optical drive resolved this. I’m not going to deduct another whole star towards the case and not even the motherboard because I can only blame myself. I do admit though that I still find this a flaw towards the case. In the end, it’s a really good external optical drive to install or burn DVD/CDs, even to watch movies. Directly plugged the case with the 3.0 USB and had a speedy result of 18 minutes of installing drivers (just for the sake of testing that it works). Yes, it’s compatible with Windows 10. I’m not sure why others had so much problems with the latest OS. I actually became a little arts and crafty here, photo numbers 79-88. My video sort of gives an idea of how I am using them. Oldtimer321 was concerned about filters because they have a cat. I confirmed about the case came with a bottom filter for the PSU and a foam filter at the front of the case. I also assured that I had some 120mm filters available to use for the top section, but then I realized that I had no way of installing these with a screw. What am I to do?! A Quick Solution: I bought some magnetic tape from Home Depot. (You can buy this online of course too but it was easier for me to buy it locally since I needed an instant solution ASAP). I would have done a better job, but I kept testing the magnetic tape until it felt secure. I did this first before I installed the components to get an idea of where and how to use them. All I used was a pair of scissors and eyed-it mostly to make 0.5 centimeter size magnetic width strips. After much testing on how much I needed until it felt secured underneath the top section without easily falling off, it worked. Now this isn’t the only solution, but I thought I would share on how I handled the top filters. Next time I’ll try to make longer, thin magnetic strips if I ever need to add 120mm filters again. I know the extensions were not required, especially with a windowless case. I don’t have any great reasons except having the white extensions do make it look lovely and cool internally. I did have too many left-over cable extensions to be honest. It is beautiful from the inside and out after all! Of course, this is only my opinion. You ask on how I made the video? I used my Nikon D5100 because my current video recorder isn’t high quality resolution nor is it able to record crystal clear. I’m sorry that I couldn’t use my vocal cords because at the time I didn’t have a microphone. Hopefully my next video build will be better in this aspect as I’ve purchased a microphone. If my video wasn’t too good, please let me know on what I can do to improve though keep in mind that I’m not going to spend a lot of money for video equipment at the moment, but if anyone has a reasonable budget to have clear, crisp video recordings at 1080p or higher than please let me know. Anyways, I truly enjoyed the process of building this computer. I know my friend was brought with much joy and is loving her new computer to this day. She is amazed how fast it is. How I was informed was being given a cute card from her with a lovely hand-written note. The card had two chipmunks holding hands with ballet outfits. Again, thank you my friend for everything you have done for my family and I. You deserve this gift. Literally, no strings attached. Off-topic: oldtimer321 has a build too that I worked around February, though part purchases were a month's time. This was the same for his wife, as I had to collect her parts at February which was right after finishing oldtimer321's build. Thank you for reading my description. Please feel free to leave any comments, questions, and constructive criticism. I’ll correct any mistakes, typos, or if I forgot to mention something. Why hello and thank you so much Battlestar! Your lovely comments and support is always appreciated and is an honor. Okuri mono (a noun) means "gift". I'm extremely simplistic with my build names. No problems. Just call me Nathan, or whatever. And now I have to track down that restaurant and eat there today or I will never be able to live with myself, thanks. The closest one is 400 miles away....Wish me luck. Haha, I'm sorry about that! I would be about 13 hours of a drive to see one around. Best wishes for your travels and a yummy meal will be your reward! You mentioned that you added a discrete GPU because your friend edits pictures. I guess she's using a program that actually can utilize the GPU. You are too kind. It's an honor. I forgot to ask her. If she isn't then oh wells! The truth is I had to use my Staples coupons and my rebates before they expired at February 28th. I purchased it online from Staples, but with a large chunk of savings. She does work on her family photos a lot though, so hopefully it will serve her well one way or another. The honour is ours to the opportunity to see your work here and on YouTube as well. Your friend must have been delighted with such a nice gift. Aw, thank you. She certainly is and she deserves it. Is it weird that, when I see 5+ tabs of pictures, I instantly suspect it's Eltech work? Seriously, the amount of pictures you're able to take while building a pc is mind-boggling. but we like it anyway. It's always a pleasure looking at a build made for a friend, out of goodwill, there's always that extra touch to it. Neat build, as always, can't really find anything to complain about (and actually, good work with the magnetic tape, I might steal this idea for myself). I have to say, that motherboard looks weirdly wide, for being a micro-atx one. Perhaps that's part of the problem with the optical drive? Or perhaps it's more of a case / motherboard combo, where it would just fit nicely with motherboards where the 24pin connector is placed a bit lower. As always, good job, I'm sure your friend is loving this pc. P.S. : I didn't see any picture related to a thank you card, did you remove it perhaps, or did I just not get why you mentioned pic #4? That is good to hear. And yes, I certainly have more photos than this. You most certainly can. My version was a quick solution. I'm certain others may have a better method. Otherwise, if I were to try this again, than I will make sure to make the magnetic tape still thin but long enough to wrap around the 120mm filter. It's pretty much all the above you said, even in my description, but it's my fault about not realizing the case and motherboard weren't going to cooperate with each other. The motherboard is wide with the 24-pin connector in the way and the case is a bit too small if trying to install an optical drive with a wide MicroATX MOBO. Someone else had this same exact problem too in the past with a different motherboard, and I should have known better. No worries though. Thank you for your support and yes, she certainly is! Edited: It looks like it was removed, but I'm not sure why. Interesting and confusing... Actually, it's acting weird. I can only see it myself, but it's not really showing up on here. I quickly retook a photograph of the card. I found it easier to do this than trying to dig for the photo again from a different computer. Thanks for letting me know Alfred! Eltech's back! And with an amazing build, write-up, and pictures. Which begs the question, how do you possibly take so many good photos for a build? I get all the parts for a new computer, take a picture, then three to four hours later realize I have a PC and no pictures to show. Aw, you are too kind someta. I truly appreciate your lovely compliments and support. I do my best with every build I post. I'm... a bit of a paparazzi when it comes to my builds. I'm guilty as charge! Thankfully I never been shooed off or get my camera smashed into the ground. Aw, you are too kind someta. I'm... a bit of a paparazzi when it comes to my builds. If only I was. Build logs are much more interesting with lots of photos! get my camera smashed into the ground. As an amateur photographer, and someone who prizes their camera above a lot of other things, this made me wince. Those poor paparazzi! LOL, thanks for cheering up my day! lol! Thankfully I only had some minor threats to my camrea in my past experience with some events, but haven't had it happen yet. At least I ask people first before I assume.... though now I'm sidetracking of a different experience. I'm an amateur myself and I was given this Nikon D5100 as a Christmas present a long time ago from my father. I would hate to lose it now. I am at a total and complete loss for words man. I come back to this site after a week and this is one of the first builds I see. Two hundred and fifty photos, superior quality, purpose and good intentions, and a spicy quote in the end. I have no doubt in my mind that this is a quality feature, and I don't hesitate to give it a +1. Thanks for showing me this work of Godly magic. Sometimes words isn't enough to describe, but the emotion is enough. I'm not so sure, but the support from you and others is worthy enough. Thank you! It is to the quality of this build that I wanted my first build to be. In short, that didn't happen. Maybe on the second build, which is hopefully soon to come. Thank you and oops! I hope you can see the photos on a device that is workable! Your compliments are support is received. ...Your compliments are support is received. Your compliments and support is received. My bad typos. Thank you! Yes, it helps to order one when they were released though I got one at February 14th. Prices weren't so bad online until about a month later when they were becoming out of stock often. Even a couple of months afterwards either one was close to $65 or somewhere $70~. Now, times have changed a lot. So it's too bad how much they are like a G4600 or a G6420 price tag lately. So it's too bad how much they are like a G4600 or a G6420 price tag lately. Oi another typo on my end. I meant to say G4620. Simple! Clean! A lot of photos! Informative! You are a professional builder! +1 from me anytime! Good gracious do I agree with this. I hate systems built with high end CPU's, GPU's, etc and they skimp on motherboards. It's literally the backbone of the whole build and just because that $100 Z Motherboard supports overclocking, doesn't mean it will do it well. And may not have support for things like X-Fire or SLI, M.2 NVME (more common than you think) etc. Right. This is why I check each motherboard's features and to see if they meet the needs are met with its intended purpose. Though, there will be some corners cut depending on what I build, but as long the person (and myself) are aware and understands the options then it'll be OK. Though in this case I really looked for certain features that had more than one M.2. installations and RAID. Somewhat what oldtimer321 already had, but at least offers additional upgrades/components if so required. I broke my original budget for this build, $400-$450, but in the end it was worth it. Thank you so much ziggurat for seeing this build. I am grateful for your comments and support. I am so glad to know this. Thank you for your support, lovely comments, and checking out this build! Welcome, I especially like the Video Card Whitch I intend to Use for my Upcoming build. Glad to support! Awesome! The GTX 1050 does a decent job with recent games at 1080p. Older games or anything not too graphic demanding can be set at High settings for certain. I will keep a look out for your upcoming build. Thanks I may or May not use it but thanks for your input much appreciated. I have a bit more photos then this; however, since I did video record this build with my Nikon D5100 there is only about 400~ photos total. Give or take. I try my best to show the process step by step if it's possible. Though I keep my finalization photos at the beginning so viewers don't have to skim through all the photos. Editing the video took me far longer than my photos and description combined. (Too long because my summer kept me busy). I'm being serious here. This is an absolutely amazing computer build and narrative about said build. And the pictures, too. Many builds I've seen have only 1 or 2 pictures and people ask for more. This is WAY over that. I didn't have time to look through them all! I'm not criticising you, but rather, congratulating you on being able to take pictures throughout the entire build. There's no way I'd be able to stop myself from the build to take pictures. The quotes are amazing. If this wasn't ever a featured build, then it should be now, even though it's about 6 months old now (from publishing). Keep the good builds and descriptions coming! Aw, what a high compliment! I truly appreciate your support and kind words. I do my best and hoping it'll be something more often down the road when building computers. Maybe not poetry nor quotes but the effort will continue on. I'm glad you like the quotes. And no this was never featured and will not be ever but the compliments and support I receive is truly feature-worthy enough. Thank you! I will do my best and try to improve a little with every build I intend to post here. Is there any room to mount fans in the getting off the case? For the Thermaltake Versa H15 case, can install up to 5 120mm case fans total. 2 case fans at the front as intakes, 2 case fans at the top of the case as exhaust and of course 120mm case fan is already pre-installed at the back of the case as exhaust. Can also install a 120mm or a 240mm liquid cooler (front section would be easier if using a 240mm). So there is plenty of room to install 120mm case fans for certain. Just need to make sure there's enough fan connectors, or using a fan hub / fan controller that supports up to 5 case fans. Thanks! That's just what I needed to know.